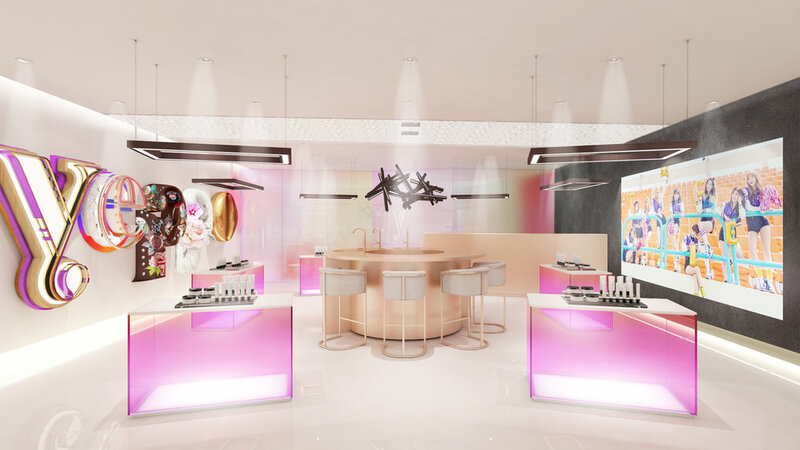 Riding on Indonesia’s Korean culture wave, Yeppo is a Korean-themed all-in-one beauty hub, consisting of makeup products to on-the-go skincare facials. Bold, vibrant, and sugar-rushing, its identity system is a blaze of colour and intensity. The tail of the logo’s ‘Y’ and head of ‘P’ were inspired from the yin-yang symbol in the Korean flag, as a harmonic balance is a key aspect of Korean culture, including the balance between inner and outer beauty— a belief that Yeppo stands by. The brand is then coated with an effervescent K-POP-inspired colour palette, striking a chord with its younger target audience. ”Chasu”, literally means “to cultivate beauty in every aspect of life” in Korean, and translates to “embroidery” in English. In Korea, the art of embroidery has been an act of cultivating beauty since ancient times, and the ‘O’ of this logo is inspired by such embroidery patterns. It’s a symbol of two chrysanthemums, a flower fabled to have its scent spread far and wide in Korean legend, just like how Yeppo intends to spread Korean beauty all across Indonesia. An alternate name proposed before ‘Yeppo’ was confirmed. This quirky logo is made up of geometric shapes that can be disassembled into the brand’s graphic element. It’s Yeppo's job to add a little more magic into their customers’ lives. Not only do we slay with a flawless face, but their whole brand needs to glow as well. Holographic is Yeppo's brand material, and we love playing around with its rainbow spectrum. Neon or colourful lights are also in character for this flamoyant brand.